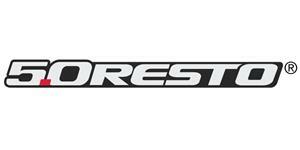 Complete your disc brake install with our 1987-92 Mustang e-brake cable kit for rear disc brakes! One of the commonly overlooked items of a 5 lug disc conversion is the rear parking brake cables. These cables are vital to ensure your Mustang stays parked when not in use. 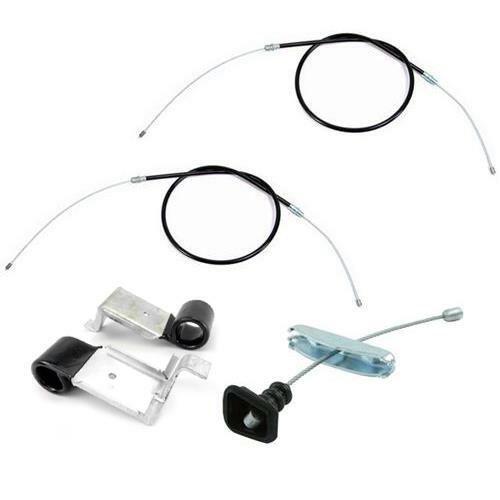 This 5.0 Resto kit includes the front parking brake cable that attaches to the Mustang e-brake handle and is also the connecting point for the two rear cables. Two parking brake cable guides are included to keep everything in place. The two rear parking brake cables in this kit are specific for use with 1994-04 Mustang rear calipers. When using this kit on a 5 Lug conversion, it is highly recommended to use M2810A inconjunction to install properly. -Fits 1987-92 Mustang w/ 94-04 rear disc brake calipers.